I am not a traditional Trinitarian. I do not believe that Jesus was God, who according to James 1:13 cannot be tempted. . . . The Logos was “equal with God” but he emptied himself and became human. In doing so he became Son of God, but not God. This is why our Lord resisted being called God: . . . But there remains abundant mystery to the relationship between Jesus and God, . . .
Find the complete essay here. I have for a couple dozen years questioned the Trinity idea. It appears to be a humanly devised concept. As Garrett has said, roughly, noting that “Trinity” is not a scripture term, “I don’t claim something that the scriptures themselves don’t claim.” For my part, I have never found a scripture passage that says “God is made of up of precisely three parts, and their names are ____, _____, and _____.” Since I haven’t unearthed such an assertion in scripture, I resist asserting threeness myself. Back to the particular essay referred to above. In dealing with Jesus’ nature, Garrett doesn’t feel the need to differentiate overtly between “Christ” and “Jesus,” yet he does do that if one reads closely. On this point, I also track with Garrett. In that the nature of God defies numbering and naming, it appears to be a mystery. For centuries, orthodox Christendom has articulated something about God that the scriptures do not spell out. For centuries — somewhere between 17 and 20 of ’em, I think — those with influence have taught a doctrine, and we have come to accept, without questioning, that this teaching simply is. Hold that thought. . . .
Humanity’s finest moments do not come when we simply accept things without question. To start with a minimal example, take the word “a.” It’s so common — in over-zealous attempts to be emphatic — to pronounce “a” like the name of the letter. Yet, despite these frequent mispronunciations by public and not-so-public figures, this English word is always properly pronounced “uh” (roughly a “schwa” sound), and never “ay.” Again: there is never an instance, in spoken English, in which the word “a” should be pronounced “ay.” It’s just the way it is, and there’s no use questioning the reality. Similarly, just because a well-intentioned, ill-informed public speaker says, “God gave this to you and I” (inaccurate use of the subjective case) or pronounces the word “interesting” with four syllables (“INN – tur – ess – ting”), it doesn’t make those things correct. What about sherbet? It is a logical certainty that the majority of my readers will turn out to be among those who mispronounce this word. 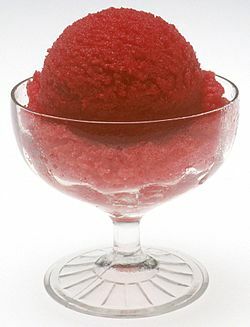 Were you raised calling it “sherbert”? That doesn’t make it correct. (Now don’t go getting all aggressive and accusative on me. I know there are lots of things I learned incorrectly, too.) You can pass it off as a matter of choice all you like, but that doesn’t change the fact: the word is “sherbet.” It is an adulterated pronunciation that includes an “r” sound in the second syllable. All attempts to justify said mispronunciation are misguided. It’s just the way it is. Now, please consider the way in which words change in meaning as time passes. Morphings, adulterations, and corruptions are limited only by the number of hours that pass! Will the word “a” ever be considered correct when pronounced “ay,” and will the pronunciation “sherbert” ever be thought accurate? In both cases, the answer seems clearly to be “yes, already.” While the reality of this answer frustrates my “righteous” side some, I must admit that neither of these matters much. The preexistence of some things — being “just the way they are” — is not so eternal, not so consequential as with other things. 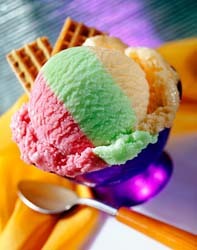 Whether you call it “sherbet” or “sherbert” or “sorbet,” its essence is unchanged, and it’s still a treat. But what about the Christian “Trinity’? Most of my readers assume this doctrine with certitude. Yet presumptions have come into play through the centuries. Is it just the way it is? Or are there questions to be asked? For nearly two millennia, demagogues of religion have inculcated trinitarian doctrine, and we have come to accept, without question, that trinity simply is. As with “sherbert,” the fact that someone has heard it that way all his life, presuming it was accurate, doesn’t change whatever the reality is. When it comes right down to it, God is God, and that very fact defies human explanation. In view of abundant evidence of a cosmological designer, the mystery of God’s pre-existence is something I accept in faith, but the division into parts — whether “two” or “three” or any other explanation that might come in the future — amounts to nothing more than a human attempt to explain the transcendent God, to express His being in a reasoned manner. Pictured here is one variation of something commonly known as “rainbow sherbet.” We might presume that the flavors are raspberry, lime, and orange. What if you found out, though, that raspberry has been mulberry all along, and that the lime and orange stripes are really both the same kiwi-tangerine flavor — and that your eyes, perceiving two different flavor-colors, had been playing tricks on your tastebuds all these years? No matter! It’s still a treat, and the essence is still sherbet — a good thing! When I began this series nearly half a year ago, I listed 15 or 20 songs and hymns that came into consciousness; every week or so, I share them, adding new titles as they come to me, as well. Often I write about the song one or more days before the Monday the post goes up here on the blog, and often I paste in lyrics from the Cyberhymnal site instead of retyping. But it is in fact today that I’m writing, and I will be typing the lyrics myself so that there’ll be more likelihood of personal spiritual growth and connection to God as I ponder these rich thoughts. This song that’s been on my list for months keeps getting deferred, but it jumped out at me this morning. Call it the move of the Spirit, or perhaps call it a sense of responsibility, or coincidence, but this one was the only choice for Monday Music this week. This song is not a hymn but is a sort of historical narrative followed by a prayer. Our blest Redeemer, ere He breathed His tender, last farewell, a Guide, a Comforter bequeathed with us to dwell. He came sweet influence to impart–a gracious, willing Guest, while He can find one humble heart wherein to rest. And His that gentle voice we hear, soft as the breath of ev’n, that checks each fault, that calms each fear, and speaks of heav’n. O God of purity and grace, our weakness, pitying, see; O make our hearts Thy dwelling place, and worthier Thee. Apparently, the author, Harriet Auber, not having pen or paper, had taken off her diamond ring and scratched the words on the window pane. The pane was stolen after her death. Although the subject of the hymn is the invisible, inner working of the Spirit of God, we can sometimes see its outward effects. The permanent etchings in the glass, wherever the pane is now, seem appropriately emblematic of the Spirit’s means. We can see the effect, but the holy mystery is that we can’t see it coming or where it’s going. The teachings about the Spirit of God that emanate from these words seem quite biblically sound to me. The title itself springs directly from scripture: the historical mention of Jesus’ having breathed on the disciples (John 20:19-23) is a beautiful inclusion in this last canonical record of our Lord on earth, and breathing is connected to the spirit. (The same Hebrew and Greek words, more or less, refer to spirit, wind, and breath.) The 2nd and 3rd stanzas are a bit more ethereally subjective but don’t offend my sense of biblical accuracy. Speaking of accuracy, it bears mention here that I don’t find Trinitarian (with a capital “T”) doctrine in scripture. There are ample references to the Father and to the Son, of course, and many references to the Spirit of God, Holy Spirit, Spirit of Christ, etc., as well, but nowhere have I ever discovered that God wants believers to conceive of Godself as precisely tripartite. Not that I would go on record saying that there are not three “parts” of the “Godhead” (an extrabilical, fabricated term), but it is much more important that we leave room for the mystery of God to be whatever God wants to be, and to work in whatever way He wants to work. I’m grateful that God chooses to live in me, and now I just need to make more room for Him. It’s also worthy of note that nowhere in scripture does a prayer addressed to the Holy Spirit appear. For this reason, I generally opt out of the 3rd stanza of all those songs that have three verbatim repeats of thought, changing only the addressee from the Father to the Son, and then to the Spirit. Poetic license would allow us to address the Spirit as God, but not finding a biblical address of the Spirit, I’m reluctant to address the Spirit in prayer/song, as well. And every virtue we possess, and every conquest won, and every thought of holiness, are His alone. God, be praised for Your holy intrusion into humanity … no, check that … for Your continued, holy intrusions. You are characterized by gracious intent and the impulse of will that streams from love unceasing. That header looks like some sort of programming code. It’s not. They are the 8 letters of the old “8+3” filename of a set of worship song lyrics. The long-hand would be “Contemporary Music Worship Session — Spirit.” These lyrics were prepared I prepared some 15 years ago for a group of devoted Christians to use in a sort of house church worship experience. The rediscovery of, and listening to, this literature brought back good memories, including visions of sibling faces worshipping, and my own intensity and release of spirit. I wish for you, my brother or sister or searcher, the experience of abandoned worship that I recall when using the songs from which those words come. Inviting the influence of God is a very real posture of worship. Not only is Scotty Smith not a pastor of mine (their names happen to be Steve, John, and Ron), but … get this … he is apparently not anyone’s pastor right now. According to the bio-blurb at the bottom, Mr. Smith “served as Senior Pastor at Christ Community Church.” That’s *past tense. * Folks, “pastor”–whatever your view of using Bible names for Bible things–is a functional description, not an earned, permanent title. If one is not pastoring, he is not a pastor. If one had at one time served as a pastor, well, then he could have been called “Pastor” then. Anyhoo. . . . The doctrine of the Trinity is the central dogma of Christian theology, the fundamental grammar of the knowledge of God. . . . Since worship is declaring God’s worth, then to present Him as less than Trinitarian or other than Trinitarian would represent the greatest sabotaging and miscarriage of our calling as worship leaders. . . .
As for the first thought there, well … no. I’m no trained theologian, and I’m only beginning to get the distinctions academics make between studies in religion and theology and Bible and ministry. But I tend to see the holes in false theological assumptions when I see them. One could make a case for the fundamental Christian doctrine’s being vicarious atonement, or incarnation. Although insofar as “Trinity” means “Jesus is God,” OK, but adherence to Trinitarian thought is not necessary in order to be thoroughly Christian. As an aside, I would suggest that, grammatically speaking, it is humans who are trinitarian or not trinitarian. God is three, or He is not, but the “-ian” suffix, not unlike “-ology,” seems to imply thought about a thing, not the identity of the thing itself. I do agree with Scotty that “it behooves us to invest time and energy to deal honestly with this matter.” What about the “Godhead” term, which he also uses in the essay? Does anybody realize that it’s concocted out of thin air? It’s sort of Greekly mythological and downright weird–in my head, anyway. Why would I want to think of God as a sort of head with three heads? Footnote: I appreciate so much that Leroy Garrett (one whose theologically, philosophically trained mind and devoted heart I admire) originally freed me to think “outside the box” on the concept of Trinity. As Leroy has well said, I don’t like to claim for God something the scriptures don’t claim about Him. And now, in a desperate attempt to move on to other things in life, in God, and in work, I will mention now, in an already chock-full posting, another article that may deserve your attention: Sally Morgenthaler’s essay “Which Trinity?” from this same May Worship Leader, pp. 38-39. Though I don’t support all of Morgenthaler’s assumptions or her raison d’etre, she offers some historical information worth being aware of. Again I’d like to comment on the notion of the Trinity, although not as substantively this time. Thanks, by the way, to Evan, for stimulating interchange in this area. I’d like to distance myself from the thinking of today’s Unitarian theological liberalism, and from today’s Unitarian Universalists (a/k/a UUs). From the little I know of those groups, their theology and praxis hold little in common with biblical Christianity. However, to the extent the unitarianism (lower-case “u”) adheres to the worship of the one God, regardless of the number or nature of God’s manifestations, I’m at least interested. My reading about Elias Smith and his early 19C Christians-only movement in New England has led me again to consideration of the doctrine of the Trinity. Smith was periodically a supporter of said formula, but more often, I think, a champion of unitarianism. It bears mention that one of the supposedly key trinitarian passages is 1 John 5:7-8. That verse’s original text is disputed and is typically rendered, these days, with the more solidly supported “Spirit, the water, and the blood” instead of the KJV”s “Father, the Word, and the Holy Ghost.” So, this is really no support of the so-called Trinity, after all. I suspect that many trinitarians are in that camp not because of scripture but because of church tradition. And that misguided loyalty is a lot of what bothers me. It’s not that I would care, really–if God did in fact present Godself as Three, it’s fine by me. But in my reading of scripture, He doesn’t do that with any clarity. Caveat lector: none of this is intended to downplay the Spirit’s indwelling of Christians. I would simply say, at this point, that the Spirit is the aspect of God that lives in us, is our paraclete, teaches us, etc. It’s not necessary to say the Spirit is precisely the third “person” of the “Godhead” (an abiblical term) to believe that God lives in me. I wish churches and individuals wouldn’t feel the need to superimpose systems on scripture. I prefer not to claim something about God that scripture does not claim. The nature of God is a mystery, not a systematized, boxed set of three.